We’ve looked at the material for the new Nikodemos, and it all looks good. But, as you anticipated, we do have some comments on Khomiakov, and in fact the material you sentvgives us the chance to say basic things and, God willing, inspire you to begin a very important project. a. 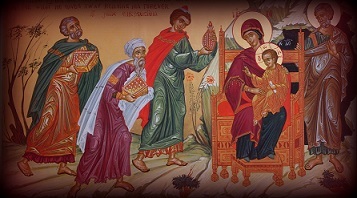 The phrase “Khomiakov and his disciples” establishes a context which is misleading: as though a lay philosophical school arose to transmit the true Orthodox teaching when the Church’s own “theologians” had gone astray. Actually, Khomiakov was one of a number of thinkers who, under sound Orthodox influence, came to similar conclusions about the influences from the West; and on the whole he is less important in this respect than his friend Ivan Kireyevsky, who was in close contact with the Optina Elders and the Patristic tradition (which Khomiakov was not — he is a more worldly figure, actually more remarkable as a poet than a theologian, who never found it necessary even to go to Optina!). As the founder of a “school” (the Slavophiles), with “disciples,” Khomiakov is not very important — because that school got itself mixed up with many purely romantic notions, based on German idealism, Russian folk-lore, etc. The conclusion of Samarin (who is not a very church-minded thinker) that “it was Khomiakov who first looked upon Latinism and Protestantism from the Church’s point of view — “is vastly overdone; if that were true, then the Church was really in “captivity,” and was saved only by lay philosophers. There were actually many before him (who are not so well known because they didn’t enter directly into the big disputes of 19th-century Russian “intellectual history”), most notably the whole Paisian-Optina tradition. b. A better perspective on this whole question is this: the “school” tradition of Orthodox theology — one might say the Russian Church “establishment” of Synod, seminaries, big-city monasteries, etc. — was indeed subject to a foreign influence from the West: not in teaching any new doctrine (for its doctrine always remained Orthodox), but in accommodating itself to Western ways of thinking and church organization (the Synod itself in place of the Patriarch; the large monasteries viewed as “official institutions” whose abbots were often transferred, instead of an intimate community under an elder; etc.). To some extent these developments were inevitable consequences of modern conditions (either intellectual, as when attempts are made to convert Roman Catholics or Protestants to Orthodoxy by using their own language; or physical: the sheer numbers of monks and monasteries made it inevitable that only a few of them would be able to preserve themselves as intimate spiritual communities). BUT AT THE SAME TIME THE PUREST TRADITION OF ORTHODOXY REMAINED INTACT IN RUSSIA, out of sight or semi-underground, as it were. 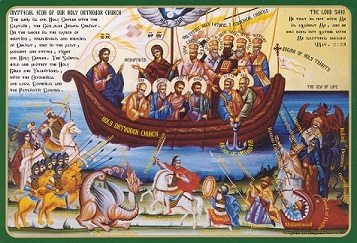 Even before the disciples of Elder Paisius brought back the authentic ancient monastic tradition in the early 19th century, even during the outright persecution of Orthodoxy under Peter and Catherine — the genuine monastic tradition continued to exist in Russia under the Elders of Sarov (before St. Seraphim), Blessed Theodore of Sanaxar, and others. 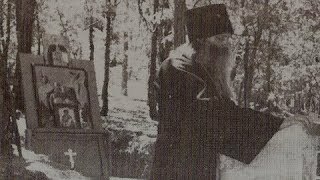 It was their influence, together with that of Blessed Paisius, that led to the celebrated “Orthodox revival” of the 19th century in Russia — in which Khomiakov took only an external part. 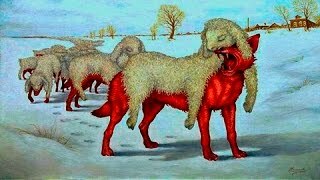 c. The comments of Samarin which you quote show that he is not aware of this pure current of Orthodoxy which never died out in Russia — in fact, he is himself under “Western influence” in not realizing the importance precisely of the post-schism theologians of the East (whom Kireyevsky emphasizes). The decline of Orthodox theology comes only with the fall of Byzantium in the 15th century. 2. The soundest approach top this whole question is, while acknowledging the existence of the Western influences in church life, NOT TO GIVE THEM UNDUE EMPHASIS and thereby establish a “negative” school of criticism; but rather to emphasize the positive tradition of Russian Orthodoxy, and in fact to see in it the main current of Orthodoxy which gives us our standard for today. 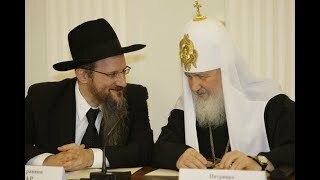 Almost no one today sees this, and the whole question of “Western influence” is therefore somewhat unbalanced and subject to the conflicting opinions of various “schools”; we should belong to none of these “schools” (even if their opinions might be correct), but should rather rejoin the age-old current of pure Orthodoxy. 3. 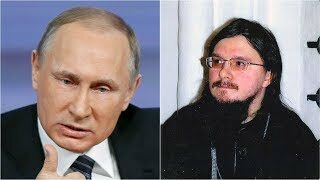 Conclusion: it would be more fruitful for you to have a series of articles on KIREYEVSKY rather than Khomiakov — he is much more important, and a member of the main stream of pure Orthodox tradition, not a member of some modern “school” as is Khomiakov. a. 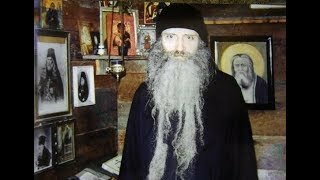 Biography: the conversion from “Westernism” (German idealism) to Orthodoxy by coming into contact with pure Orthodoxy through his wife, a spiritual daughter of St. Seraphim. His life as a layman under spiritual discipline. b. 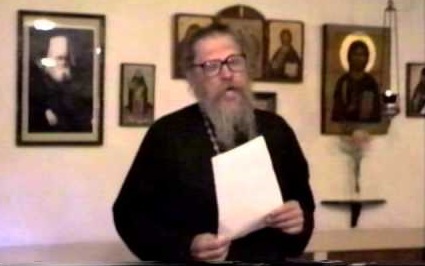 His discussion of the differences between Western and Orthodox mentalities; his whole concept of the distinction between Western “spiritual self-satisfaction” and Orthodox repentance is extremely important for converts. c. The return to the Fathers as the answer to Western “philosophy” and its dead end. His work in translating the Fathers. 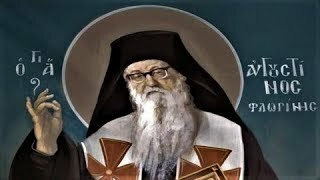 The importance of the late Fathers (St. Simeon the New Theologian, St. Gregory the Sinaite, St. Gregory Palamas, etc.). Look at the book we’re sending, and read our review of it in OW#52, and let us know your thoughts. We can supply all the texts you need on tapes. Another thought on why Kireyevsky is not only more Patristic, but also more relevant for us today, than Khomiakov: Khomiakov, being not at all close to the monastic patristic tradition, derived his inspiration more from the Russian national tradition (which, of course, embodied Orthodoxy, but also had its purely nationalistic side, which is not of primary relevance to other Orthodox peoples), and indeed from Pushkin. Thus, he is part of the Slavophile movement (=a somewhat romantic nationalism). But Kireyevsky, as the Kontzevitches have constandy emphasized to us, is first of all a “Byzantinist,” i.e., a disciple of Patristic Orthodoxy and the monastic tradition in which it was handed down; and he emphasizes that it is not the Russian embodiment of Orthodoxy, but the Orthodox seed itself that is of primary importance. Kireyevsky is not a Slavophile — however much his biographer would like to place him in this convenient category! Khomiakov’s ideas are mostly correct, but he is more in the intellectual, academic tradition of Russian theology — actually, in the same tradition as those who were under “Western influence,” only he took the opposite intellectual point of view. But Kireyevsky was in the Patristic tradition, and his writings are therefore much more valuable, as being not those simply of one modern “school of thought” (even if its views might be correct). Kireyevsky was a real “convert,” and therefore more aware and profound; but he was also still a layman (with such mundane problems as chess-playing and smoking! 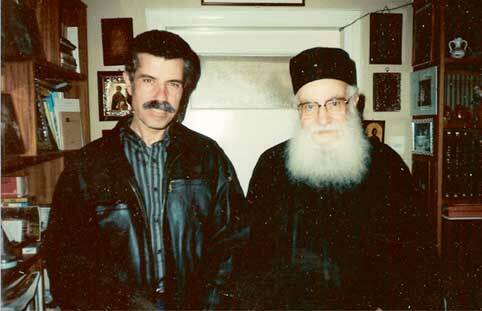 ), and so can probably persuade many sincere laymen today of the relevance of Patristic Orthodoxy. About the spiritual treatise you gave us to look at: we haven’t had a chance to look at it yet. About Fr. Alexey’s press: no you don’t need a truck with a hydraulic lift to transport it. (We found only one place in Northern California that rents such trucks.) From what Fr. Alexey told us, the press when broken down is light enough to be moved and transported in a station-wagon or light truck such as ours. But even is it were too heavy to lift into a truck, there is still no problem — because his printshop is up several steps from where the truck must be parked, and it is only a question of accurately rolling it down into the truck; the same thing when you get to Etna. If the press is really heavy and can’t be lifted by two people, you will have to arrange for a scaffolding of boards to roll it off the truck. Ask Fr. Alexey what the weight of the press is, or of its component parts when broken down, and how easy it is to handle (whether two people can lift it), and on that basis we can figure out what will have to be done before you go down. Pray for us. Let us know your thoughts.